The more powerful and feature rich CMS you are using is, the more problems you are going to encounter along the way. It’s inevitable. And WordPress is not an exception in this case. Although it is well secured and reliable in its performance, it still sometimes causes some small and major problems. Error establishing a database connection in WordPress is one of the frustrating errors any WordPress user and website owner may from time to time experience. Why this error establishing a database connection in WordPress is so annoying is that it does not come with a proper explanation about what had happened or what you need to do to get rid of that. In addition, whenever your site is not accessible and is down because of this error, you are going to lose more leads and traffic, more customers and prospects, which is, of course, not what you want. But however scary error establishing a database connection in WordPress may seem, there is nothing to dramatize, as, in the majority of cases, this error is not difficult to solve. But before we delve into the practical solutions, let’s see what this error is in essence. What is error establishing a database connection in WordPress? Well, you are trying to access to your WordPress hosted website but instead of a homepage, you are taken to some blank page containing a frightening message about error establishing a database connection. Actually, WordPress is written in PHP and MySQL and all the information that makes up your site is stored in MySQL database, while PHP is used to store and retrieve this information from the database. The PHP code is used to access MySQL database to get all the information needed to create the page. Whether it is the name of the publisher or the author of the post, date or some other information, it is retrieved by the help of PHU queries. Now, of you see error message “Error establishing a database connection” in WordPress, it means, that this or that reason the PHP code could not connect to the database for the information your website needs for the creation of a webpage. Why do you get error establishing a database connection in WordPress? Your database login credentials (login and password) are wrong or have been changed. Your database is not working properly or is corrupted. The server hosting your database is not responding or is down. Before trying to understand where the root of the evil is hidden, make sure you have the backup of your site at a safe place. Once this code is added, it will let you repair or optimize the database from http://www.yourWPwebsite.com/wp-admin/maint/repair.php. Here you can choose to only find the problems and repair your database or both repair and optimize, in which case WordPress will try to boost your database performance. As soon as you are finished with this fixing process, be sure to remove the last added code (define(‘WP_ALLOW_REPAIR’, true);) from your wp-config.php file. This should fix the error establishing a database connection in WordPress. If it doesn’t, we’ll continue troubleshooting. Whenever you are moving your WordPress site to one hosting to another one or making certain changes in the name or user information of your database, your wp-config file needs to be updated accordingly. Otherwise, it may cause the database connection error we are trying to solve. Make sure all the 4 values here are correct (the name of the database ‘DB_NAME’, the login username ‘DB_USER’, the login password ‘DB_PASSWORD’ and the database host ‘DB_HOST’). Depending on the host you use, the values may differ. define(‘DB_HOST’, ‘127.0.0.1:8889’). Depending on the web hosting, the IP may also vary. If everything is ok with this file, there is probably some issue with the server. You may have encountered this error establishing a database connection in WordPress when you receive flows of traffic or welcome lots of site visitors. This is because your site is not able to handle such traffic and becomes too slow for some users and showcases this error to other users trying to browse your site. What you can do in such case is to test another site on the same server to understand whether the problem has to do with server or not. If the results are the same for both sites, then the problem is with MySQL server. Do not forget to change the username and password. If connected successfully, it means that the user has sufficient permission and you need to look for something else. If you are not able to connect to your database, it means there is something wrong with your server. Either MySQL is down or the user has not sufficient permission. In this case, you need to contact your hosting company for technical assistance. This entry was posted in wordpress on April 17, 2019 by SKT Posts Themes. Below is a list of few useful code snippets which can be used in WordPress and come quite handy sometimes. For most of them there are different plugins. But as they say lot of plugins do more harm than good. So better to use these useful code snippets whenever and wherever necessary. Some hosts by default limit the memory limit to just 2mb and hence it becomes difficult to upload large media files in media section of WordPress. There are 3 ways in which this can be done. This entry was posted in fyi, wordpress and tagged code snippets for wordpress, useful code snippets wordpress, wordpress code snippets on April 17, 2019 by SKT Themes. Best WordPress newsletter plugins for your blog and website have been discussed here. To increase traffic its essential that you build your subscriber list. This article speaks about plugins which help you build your subscriber lists. Sending a newsletter and email marketing will form part of another article which will be published soon with cheaper ways to send newsletters to your subscribers using various services possible. Now lets focus on list building plugins which is the main source and the first step in email marketing. Among older ways to reach a client Email Marketing is still considered one of the best ways to increase instant traffic and reach directly to your clients who have signed up to receive updates of your website. Mailpoet Newsletters: Mailpoet Newsletters as the name suggests is not just a nice list building plugin but to store unlimited subscribers and also integrate itself (ofcourse paid) with several services like Amazon SES, Mandrill etc. So that you not only build your list but also start sending emails using either services like the ones given above or using SMTP. Free version has limit of sending only 2000 emails. Pro version doesn’t have any limits. However costs are a bit on the higher end if you consider paying every year for this service. Check out this service here: http://www.mailpoet.com/premium/ Hence as stated above this plugin is good for list building. You may consider other methods to send email. Newsletter: This plugin is one of the best we found for easy list building and adding as many subscribers as you may want. One can track the email subscribers. It also has additional options to send emails using SMTP which might be configured with Gmail or other email services for sending emails free. Since this plugin not just is a list building plugin but also a email sending one we added this one above others. Sendy widget: We all know Sendy is a software which you can install on your server and tie it up with Amazon SES for sending emails. If you haven’t heard about it i just wrote a small write up above explaining the same. As this widget names itself, it is used to build your list directly into Sendy server. So no need to do anything else but keep on adding subscribers to your ever growing list at Sendy. SendPress Newsletters: Sendpress is another good list building method for subscribers. However the yearly price of $99 is too high if you just want to have it for list building you don’t need to pay anything. But in case you want to use it for services like mandrill, Amazon SES and then using them sending email newsletters then you will have to shell at least $99 per year. For list building methods this plugin does the job right and is quite good. Newsletter Form: Newsletter form is another method of list building. However the problem with this plugin is that it directly integrates with services like mailchimp, aweber etc. So basically you don’t have your list of subscribers in your database but into some of the services i listed above. Even though this method makes sense for users who want to send emails using services like this for users who just want to build their list this plugin might not be suitable. Nifty Newsletters: Another great plugin to build your list. However nowadays every plugin tries to market itself with not just list building methods but premium features where you can create a newsletter and send using services like SMTP, Amazon SES or Gmail. ALO Easymail Newsletters: Easy for list building. Not very intuitive for sending emails. Some reviewers have also pointed sending same email 10 times to same mailing list. Hence consider this plugin for list building methods and not for sending email newsletters. Email Newsletter: This is a simple plugin and not very intuitive. However it does work good for building list of subscribers but not very good for sending emails. It has SMTP email sending method. We know there are many more newsletter list building methods. Most of them are paid. If you find any free newsletter list building plugins for WordPress left by us do let us know. This entry was posted in wordpress on April 17, 2019 by SKT Themes. No theme has everything you need. Sometimes you need add-on apps to do everything you want the site to do. Some add-ons are available as plugins, but sometimes an external application is the only way to get the functionality you need. You might be looking for banner ads to promote affiliate products or services you provide yourself. Animations get around ad-blindness in site visitors. Everyone sees the same ads on every site they visit, especially with the extensive use of tracking pixels: Is it any wonder we stop seeing those ads? A GIF banner maker lets you create unique ads that users can’t help but notice. You can use templates to produce GIFs in less than five minutes with a drag-and-drop interface, and you certainly don’t need any Photoshop® expertise. You will need to check with the affiliate liaison department of any product you are promoting that your animations are acceptable in their eyes, or they could refuse to pay you the commission you are due. Moderation is necessary, or the animations become annoying. Only animate one in three of your banner ads, but you can still make the rest of your banners unique. Many business owners fail to use split testing to its full potential because they don’t realize the potential impact it could have on their profits. Yes, there are split-testing plugins for WordPress, but for simplicity, statistical analysis and support, a subscription service is better value: Better value because it saves you time and makes A/B testing simple enough that you can safely delegate the task and set up new tests more often. Paid split testing services don’t come cheap because the potential benefits are so high. You set up one test a week with two alternate landing pages and the winning option converts at 5% rather than 4% (25% higher conversions). Each week you take the better page and test it against a new variant. You get similar test results every week for a year. This means you make 109,476 times more conversions or sales than if you had not run any split tests. Your web hosting is limited. Forget all the “unlimited bandwidth” and unlimited disk space. Those are not the limiting factors on your website’s hosting. The crunch factor is the number of simultaneous processes your site runs, which is the demand it puts on the CPU. Your site makes fewer demands on your host’s servers, so you don’t hit any limits. If you don’t run into the limits, the hosting company does not force you to upgrade to a higher-priced package. You have many CDNs to choose from. Some are free, but as always, you get more from a paid CDN service than from a free one. If your website’s prime purpose is to make money, then you must capture visitors’ emails. Only then can you start learning what your prospect needs, growing your reputation as an expert, and building your relationship with the prospect. An email marketing theme is one option. Alternatively, you can choose from scores of email marketing providers, all with varying costs and levels of service. Most email capture software uses popups because these have a better conversion rate than static forms. Start with a basic service and switch to a more comprehensive provider as your needs grow. Every email marketing app has a learning curve, so don’t expect to grasp any of them instantly. It is worth persevering because of the power mastering the application gives you. Most email marketing software lets you segment your subscribers according to whether they have opened previous emails, or whether they have clicked on email links recently. You can also set up if/then consequential sequences of actions; the sort of thing you would be doing manually if it didn’t take so long. Your website represents part of the broad top of your sales funnel. Funnel software helps you to convert browsers into buyers through a multi-step process. Every one of the different funnel apps each has its strengths and weaknesses. At the most basic level are the free WordPress plugins, and these represent a good starting point, but some are more than landing page builders, and a funnel is much more complicated than a few landing pages. Look at all the premium funnel options before making your choice. Choose one with the features you need, an interface you can work with and a price point you can live with. Funnels are more complicated than the word implies. You need to cast your net wide to find the numbers you need at the top of your funnel. You will need multiple offers to appeal to the different sub-groups of subscribers entering your sales funnel. Similarly, different sections of your funnel population will have their own concerns, so they will react positively to different offers you make. Your funnel will also enable you to visualize and keep track of upsells, cross-sells and down-sells. Trying to do all that in a spreadsheet is ineffective and time-consuming. A bare-bones website is only the start. It’s like having a store with no salespeople. You need more. You need all five of these services if your website sales are to reach their full potential. Check out free trials and see which application suits your needs the best. Monthly subscription services like these do have one significant advantage over one-off purchases: You can test them out for a low outlay and discard them if the ROI is not favorable. The role of women in the digital world is often underestimated. But if we try to analyze the virtual arena and WordPress society, in particular, we’ll find many WordPress women you should follow as soon as possible to get more inspiration and get infected with feminine enthusiasm if you are somehow interested in WordPress CMS and its products. Although the modern technological world is male dominant, it’s a rapidly changing environment where the role of women, her aesthetic touch and inspirational spirit, focus on details and responsibility at work are still significant. Today more and more female representatives express interest in pursuing digital technologies and engineering, web development and design industry and definitely don’t lag behind men in their qualification, results and proficiency. There is always something you can learn from experienced women specialists and business ladies who are present online and give you a chance to follow and get in touch with them through different social and other communication networks and means. WordPress Women You Should Follow Below we have tried to bring together top 20 WordPres women you should follow right now. Let’s discover who they are and what mainly they are specialized in. Sarah Gooding is one of the most influential WordPress women you should follow on Twitter. Starting her career as a WordPress content writing Evangelist, now Sarah is a partner at Untame and WP journalist at WPTavern. Lisa Sabin Wilson is now the co founder and COO of web design and development agency called WebDevStudios, as well as the author of the books WordPress for Dummies, BuddyPress for Dummies, WordPress All in One for Dummies and WordPress Web Design for Dummies. Siobham Mckeown is another well known member of WordPress. She has tried her capacities in writing, editing, event organizing, public speaking, and, naturally, free software contributing and advocating. She is also the author of a book presenting the history of the WordPress free software project. We cannot help but include Helen Hou Sandi in our list of top 20 WordPress women you should follow. Helen is a typical example of a multitasking woman successfully combining career with the important role of a wife and “Bad Asian mother”, as she represents herself. She is a WordPress lead developers and have managed to author several plugins. Suzette Franck is a web hosting specialist as well as WordPress educator making the process of web creation fun for many people. Besides her vocational skills, she is a real muse with her useful advices and inspirations. Meet Mika, an author of two ebooks, co founder of LezWatch TV, pro quality coder and open source technology specialist, full stack WP developer trying to make the digital ream a more convenient and pleasant place for everyone. Jen Mylo is also among the most popular WordPress women you should follow just because she does her best to motivate other women within the scope of WordPress community, programming and beyond that. Tammie Lister is the next passionate WP community member who is absolutely passionate for what she does. Currently she is an Experience Designer at Automattic and, unsurprisingly, runs her own blog with valuable articles and guidance, portfolio and works. Christine Rondeau is an active participant of WordCamps and international events, experienced WordPress developer and owner of Bluelime Media bringing talented people together and thus making the creation of an awesome websites real. If you are searching for the best tips and advices on WordPress, marketing and branding, web design and more, Lisa Work and her blog is what we recommend you to follow quickly. If you are looking someone in our roundup of top 20 WordPress women you should follow, who will prove that working with WordPress need not necessarily be a daunting task, but, on the contrary, can be a real joy, Kathy Drewien is who you need to follow regularly. Sara Rosso is another easy to notice face among WordPress women. She is the one who perfectly knows all the ins and outs of WordPress, is well aware of current digital marketing tools and strategies, is engaged with writing on a variety of topics and photography. Carrie Dils is the next active member of modern WordPress community who has established TheFearlessFreelancer.com, run her own blog giving advices on how to “freelance” successfully, WordPress and other relevant niches. Freelance writer, blogger and copywriter, coffee addict and London resident WordPress expert, Megan Jones will make your communication easier with the chaotic digital arena and its trends, working principles and the ways to win. Kim Doyal is an expert in different fields, from business planning to coaching, web design and podcasting, trying to involve more and more women in technical world and business in general. Brenda Barron is the next celebrity woman in the world of WordPress, technology and progress who manages to skillfully combine the best qualities of a freelance WP craftsmaster and a caring wife. Writing has been Andrea’s preferable pastime before it led her to getting closer to WordPress. Now this happy mom, wife and writer is a Happiness Engineer at Automattic, active participant of WordCamps and also an interesting personality to follow on Twitter. Fashion and design addicted, Ana Segota tried her efforts in WordPress as well and succeeded in it. And since 2012, she uses WordPress to live and work wherever she wants. Claire Botherton is a talented WordPress guru sharing simple solutions on WordPress website building, web design, client engagement, effective advertising on social media, etc. Josepha Haden is another member at Automattic, mainly a Community Wrangler forming a part of WordPress since 2010. If you have already come up to the point and want to choose the best website builder in 2018 for the creation of a superb personal or business website, we are happy to let you know we have the best site building platforms put together in this article. Any website builder needs to be analyzed, evaluated and characterized at least by several key features: cost, specialization, quality of themes and templates, ease of customization and management, functionality and technical framework, the ability to synchronize with third party products, etc. Well, many web services allow you to create the type of the site you need, but, honestly speaking, they usually put the stress on and prioritize certain elements or functional touches (visits and blog, for example). The rest looks like additional functionality to be used for solving simple tasks. Therefore, we have tried to dig out the powerful points and advantages of the best website builders ready to host your website or blog and are going to cast a light on them separately. This will simplify your efforts to choose the best website builder matching your specific needs and preferences. The reasons why we consider WordPress.org the best website builder in 2018 for the majority of cases are endless. WordPress is a free and open source website building platform which has already won the trust and love of millions of users across the globe. Actually, what this platform prioritizes are beginner friendliness, useful yet easy to use features, present and future scalability with constant updates and improvements, flexibility and powerful modern coding, SEO friendliness and e commerce optimization, professional support, etc. It is also a self hosted platform meaning that you are going to be the only developer and designer of your site. Hence, you are free as in freedom to shape the most attractive and productive version of your site without any hassle. Wix is the next highly popular and globally renowned web establishment solution which we could not exclude from our article on how to choose the best website builder in 2018. It comes with hundreds of custom built and all inclusive templates you can consider for building high quality, professional and exclusively designed website. With this really valuable platform, you are going to access your website via Wix admin and literally drag and drop every single element to finalize the stunning look and feel of your profile. With Wix, you are still the one to manage the website’s appearance and functional level, structural base and design solutions, but Wix is what will take care of the security and protection of your virtual product essentially. SiteBuilder is another well known brand the army of users of which gives us confidence that it is the best website builder you as a startup in the digital arena can give a try. It is one of the fastest growing names in the site building industry granting its users with everything they need to quickly get their sites up and running in the virtual domain. What sets this platform apart from others is the fact that it mainly focuses on clear and uncomplicated interfaces, as well as on basic features. Whether you are going to build personal website or establish something original complying with your business brand, Squarespace is another top option for you. You are going to find multiple templates which are all robust and polished, mobile optimized and easy to manipulate. 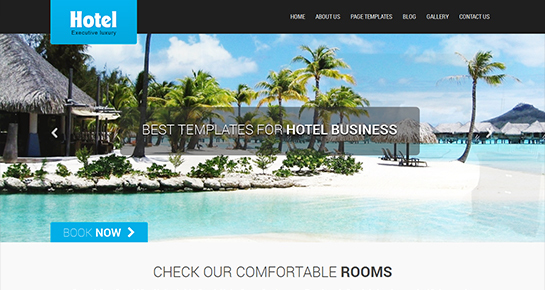 Moreover, you can use more than one template for your site at once. Squarespace is also e commerce ready to some extent which means it can be used for online shopping purposes. However, for e commerce first websites, it’s not the best website builder and concedes to Shopify or WordPress on a fully fledged commercial capacity. Another reliable web building and customizing platform that seamlessly compromises between confidence and comfort is Weebly. The developers of this have devoted tons of time and energy into launching pro quality and beautiful templates you can highly benefit from. This free platform also integrates drag and drop mechanism making it easier for a non techy user to craft the best appearance of his or her website. 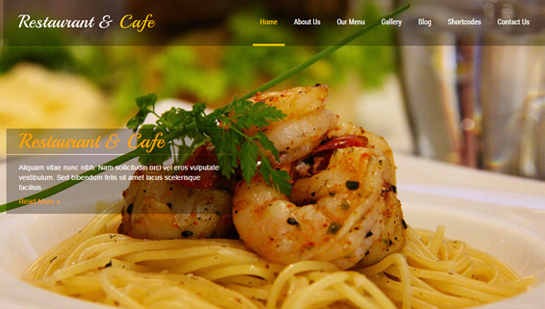 Thus, choose Weebly, sit back and enjoy this user optimized web solution without any coding knowledge or experience. Another leading site creation framework that matches the majority of criteria defining the best website builder is Shopify. Millions of users, billions of dollars earned by the websites hosted by Shopify… Well, the records are influential. It’s not hard to guess that Shopify is specialized in crating and offering e commerce platforms for diverse online shopping and commercial purposes. This platform is ideal for an online storefront of any kind and nature, from small to the largest ones, physical to digital products selling, etc. GoDaddy is the next popular choice among website builders, domain and hosting providers you can find expedient to your specific web requirements. It is probably one of the simplest methods to get you online with your website while using preloaded blocks and creating diverse layouts with drag and drop functionality. Anyway, GoDaddy is convenient for small scaled or startup websites for which restricted kit of features, limited management and less design control are enough. BoldGrid is a relatively new platform you can use either as a plugin, or as a website builder. It is based on WordPress functionality, however, does not comprise its whole capacity. Clean coding is what has been used at the core of BoldGrid templates which are responsive and cross mobile compatible, easy to customize with drag and drop controls and without coding processes. In order to use BoldGrid, you need to have a WordPress hosting and a Connect Key either from BoldGrid or from one of the partner hosts. The security of information on the digital platform is one of the most serious topics as of the present time. But how can you protect your website or online store from information leaks and unauthorized access by third parties? What is SSL protocol and what is SSL certificate? Why are we sure you should use SSL for your WooCommerce store? Why is HTTPS better than HTTP? We are going to share an important material with you covering such questions and not only. SSL or Secure Sockets Layer is a modern security technology and cryptographic protocol guaranteeing the secure connection between your site and its visitors. It encrypts all transmitted data and thus makes Internet communications more protected. SSL certificate is a special setting for a domain name, through which the data between the user’s browser and web server are transmitted in encrypted form via HTTPS protocol. Actually, this is what takes the responsibility for the creation of reliable and trusted environment and persuading your website viewers or online shoppers that their personal details, purchases and payments are well protected. Domain Validation (DV) SSL certificates. These types of certificates confirm the authenticity of the domain name and do not contain information about the company. Organization Validation (OV) SSL certificates. They contain information not only about the domain but also about the company to which the certificate has been issued. They are highly trusted by Internet users. Extended Validation (EV) SSL certificates. These certificates provide the highest confidence of customers. Whenever the user is on a site with SSL certificate, the browser highlights the address bar in green. So, you have opened the online store of your dreams and it already brings you some income. However, you are trying to find ways to make it more profitable and client oriented. In this case, SSL certificate is one of the opportunities for generating more sales and revenues by increasing the trust of potential buyers. In a nutshell, in addition to offering multiple product options, listings and descriptions, affiliate goods and items from different places, managing payment gateways and delivery/shipping options, customizing the look and functionality of your store and keeping your inventory under control, you need to safeguard your website’s data transmission is secure and SSL certified. If you use WooCommerce for your online activities, you should use SSL for your WooCommerce store first of all for the sake of building trust and customer loyalty. It will let you create more reliable and trustworthy digital presence of your brand or brick and mortar store by indicating that your store and its buyers are secure in the virtual spectrum. Thus, adding SLL to your WooCommerce based shopping environment will boost your revenue by increasing the credibility of your site. Anything that your online shoppers or customers will send you, be it payment details, credit card number and date of issue, online transaction or online banking or something else, will be protected from external sources and will be received only by your commercial website. If to tell a short story, having SSL certificate added to your site will protect customers’ personal data from theft. Another reason you should use SSL for your WooCommerce store is for adding HTTPS before your domain name. For the majority of online users, it is important to see that your website cares about the security of data they enter into your online storefront while ordering something or making purchases. Whenever you install SSL certificate on your server, HTTP protocol is going to be replaced by HTTPS where the last “S” stands for security. Hence, whenever your clients see HTTPS instead of HTTP, they will be sure any kind of communication between them and your store is properly encrypted and is immune to unwanted interventions. In addition to being more dependable in the customer’s eye, switching your address from HTTP to HTTPS will also do good for your site’s SEO ranking. Arming your WooCommerce store with SSL certificate will result in better search engine ranking. It’s not surprising that Google gives its preference to those sites which are trusted and secured. Therefore, ensuring that data moves in the most secure way from your user to your website has to do with boosted SEO rankings. Although WooCommerce platform itself is SEO friendly with available SEO optimization tools with product pages, meta description, URLs, tags and other page and post elements management options, SSL certificate is what missing in your arsenal to look even better on Google and other search engines. If you want to link your WooCommerce store with the most popular and major payment gateways, acquiring SSL certificate and installing it on your server is inevitable for protecting any kind of sensitive data catering to the user’s financial transactions and payments. The only case when you don’t need SSL is when you are using your own (direct) payment gateway and there is not any third party through which the information is going to be transferred. Finally, choosing SSL certificate and using it on the server is what going to set you apart from many other competitors and to give your commercial site, online storefront or e commerce environment a more professional look. It will also let you avoid from being marked as “not secure” by Google when visitors are trying to visit your site. It’s hard to imagine a stronger connection than WordPress+Google. If you are running a WordPress based website, then pairing it with Google Analytics is a must. And while there are several methods you can integrate Google Analytics functionality into your site, today we’ll mainly concentrate on adding and configuring Google Analytics tracking code in WordPress. Sometimes website owners spend all their possessions and time on driving as much traffic into their websites as possible, but fail at tracking the success of their endeavor. But the truth is that keeping the track of the whole process, understanding the behavior of your web visitors, the channels through which they are landed on your site, the time they spend on it is as of paramount importance as well if you want to have stable results in the foreseeable future. This is where Google Analytics comes as a real magic for WordPress website owners. It is going to provide you with tons of useful information and data showcasing how your audience interacts with your website in general and at the very moment. As mentioned below, there are different ways you can connect your site with Google Analytics. One of them is to add and configure Google Analytics tracking code in WordPress. At first glance, this method may seem somehow tricky especially for the beginners, as it has to do with little coding. But if you keep reading our article, you will find sever steps to follow and succeed in adding the needed tracking code directly to the theme your website uses. Believe us, all your efforts will be paid off! Naturally, to get started with Google Analytics, you need to have a Google account. If you already have one, then simply log in to your account and pass on to the next step. The next step is to sign into Google Analytics by following the link above. Choose your gmail address and log in. Once you are logged in to Google Analytics, you will need to find a tracking code to be added to your site manually. Go to the admin area in the left taskbar inside Google Analytics, where you will find 3 columns of admin settings. Find “Tracking Info” in the middle column (property column) and then choose “Tracking Code”. Now, you can get your unique tracking ID along with Universal Analytics tracking code under “Website tracking” section. Copy the tracking code in full. Log in to your Admin area and navigate to Appearance, Editor. On the right of the screen, you can see the site’s files like Theme Footer (footer.php), Theme Functions (functions.php), Theme Header (header.php). Each of these file’s code will be displayed in the middle of the screen. In all probability, you may want to add Google Analytics tracking code in WordPress in the way that the whole website and not certain pages of it is tracked. Then, the file you will need is header.php. Open the file and paste the previously copied code after the tag. Once the code is added, update the file and save it. Finished! You are now done with adding Google Analytics tracking code in WordPress. Google advises you to wait 24- 48 hours before trusting any data information you will find in your website. So you need to wait for 1-2 days before following the tracking of your site. But what you can do at this very point is to check whether the desired connection has been established between Google Analytics and your WordPress website to be sure Google will start tracking the site soon. Go back to Google Analytics’ Tracking Code page and find “Status Update” to the right of Tracking ID. Click on “Send Test Traffic” to check whether the connection is set. Your site will be opened in a small window. If everything is ok, Google Analytics account will update to show 1 active user. The process may take up to a minute, so you will need to wait a little. Note. Before tweaking your theme’s files, be sure you have created the child theme for your WordPress website. Hence, before adding Google Analytics tracking code to your site, be sure you have a child theme already created. If you don’t want to add the tracking code manually and are looking for a plugin that will do it instead of you, Head, Footer and Post Injections is what you need. All you need to do is to copy the code from Google Analytics and paste wherever needed with the help of this plugin. As for the technical part, the plugin will do the job itself. The advantage of Head, Footer and Post Injections is that you are free to change your WP theme any time you want without losing the codes added. Another useful plugin to make the process of adding GA tracking code to your site is called Insert Google Analytics’ Tracking Code. Simply copy your Universal Analytics Tracking ID from Google Analytics and paste it into Settings, Google Analytics, Tracking ID. Save the settings and let the plugin to insert the code to track and analyze the visitors of your WP site. Let’s start off with the most important step, make sure that you choose WordPress as your platform for your website and select from one of the many available WordPress themes; check out some of our free themes and premium ones to get a better idea of what’s available. Since you are just planning to set up your website, then there are a few things that you need to know – having Google analytics in place will enable you to track your website’s current metrics and will enable you to gauge who’s been visiting your website, and even get a read on their current location. That’s why it is essential for you to make sure that you configure Google analytics tracking code in WordPress; this will enable you to track all incoming traffic and even determine where the traffic is coming from and tweak your marketing strategy accordingly. The process to set up Google analytics tracking code in WordPress is fairly easy; you should be able to get it done in a matter of minutes. Of course, you could well wonder if it is worth the time and effort to configure Google analytics tracking code in WordPress. Imagine this, you have a marketing strategy in place, you have an ad words campaign and you are finally getting some traffic. That’s all good but how would you know as to how well you are doing, really? Can you calculate the incoming traffic? Do you know where they are coming from or as a result of what marketing strategy that you have in place? If you have responded in the negative to all of the above or even some, then you need to know that having Google analytics in place can help you to do that and a lot more. Just read on to learn how to install the same in a few easy steps. • Create a Google account: The first thing that you need to do is to create a Google account; you will be using the same for multiple purposes and set up your email id, it will be your primary mail id. • Google analytics: Keep your Google account open and log into Google analytics; once you are logged in as head over to the admin area, and you should come across three columns where you should find the “tracking info”. Now, select “tracking code” and this should provide you with more choices, and at this point, choose website tracking for that’s the one you need. You need to copy the tracking code in full; just highlight the section and press Cntrl+C and that should do the trick. • WordPress: Now log into your WordPress account and head over to admin, and then to appearance, editor. This should display several items on the right including footer, along with functions and header; the code for these would be displayed as well. All you have to do is to open the header file with header code and add the copied tracking code and you’re all done. Remember to click on update and save the required file, now you have successfully added Google analytics to track all your pages. With Google analytics in place, you should be able to tweak and optimize your marketing strategy so that you are able to gain an edge over your competition. We hope this article helped you understand how you can add and configure Google Analytics tracking code in WordPress. This will definitely contribute to a more fruitful tracking of your site and its visitors to see the most popular pages, time people spend on your site, pageviews and bounce rate, social overview, benchmarking and more. This entry was posted in wordpress on April 16, 2019 by SKT Posts Themes. We all know how to use Google to search with keywords. What if you have to search for images? That is a little tricky, and not everyone is well aware of how to utilize a search engine for image search. That’s where a reverse image search software comes in for help. The technological revolution has led us, humans, to find a solution to everything. So, did they with image search! Reverse Image Search is a tool you can easily find at SmallSEOTools.com. The answer to your question; how to find similar images online is very simple: Search by image. Reverse Image Search enables you to search by image, instead of keyword and provides you with all the similar photos available on search engines like Google, Yandex, and Bing. A simple click on “Check Images” will take you to the respective search engine. There are so many benefits that we as users can have, by using a reverse photo search. First of all, this tool is free to use, you are not required to pay anything at all. It is a web-based tool, so you are not bound to download it on your device, and it is also accessible on all devices with any OS. Moreover, it is a tool that you can use regardless of your geographical location. We browse pictures of cute puppies, beautiful places and delicious looking dishes, the problem occurs where we don’t know about the name of the dog, place or dish. Search by image helps us overcome this issue. By uploading that particular image in the tool, you can find similar pictures of adorable puppies, your favorite destinations, and tasty recipes. So, you can know more about anything you are interested in. The people who are very active and post pictures on social media, especially photographers, trying to build a career or someone who owns a social account/website/firm you all can use search by image to find out the replicated photos. Submitting your pictures in the Reverse Image Search tool will allow you to easily identify someone who is manipulating your work or using your pictures in an immoral way. Once you have identified the source, you can ask to take down your pictures or give you the credit you rightly deserve. Not only this but you can even sue them by taking them to court as it is against the laws if needed. By submitting just one image in reverse image search, you can see different links of matching photos. So, this helps us to find pictures with much better quality as well as angle. If you insert a photo that is not having right pixels, by clicking on the links provided by reverse image search you can save a picture which is clearer and more attractive. How hard is it to use Reverse Image Search? Reverse image search bestows us with two choices through which we can upload the picture to the tool. We can select either way and enjoy the satisfying results. You might be confused and thinking that it will be tricky to run this tool, however, it has been a piece of cake for me to search for similar images with SST’s reverse photo search. No specialized knowledge or expertise about images or relevant things are required to use this application on your device. Once you visit the site, you can browse through the tools and open the RIS, a space mentioning the option of uploading image or writing URL will be visible to you. Upload the image and after clicking on “Search Similar Images” button in the https://smallseotools.com/reverse-image-search/, the tool will start processing. The results will be available to you almost instantly, which are quite accurate. There will be three different links for different search engines, by clicking on the link for your preferred search engine, you will be redirected to it, where you can see all the images. The tool was recommended to me by someone, and now I know why. All you will need is a stable internet connection, and you are good to go. Use it yourself to see how amazing this tool really is! If you are well aware of WordPress themes, you should know that tons of WP themes come with widget ready or widgetized areas like sidebar, footer and header. If you visit your site’s Admin Dashboard and head over Appearance, Widgets, you will find the list of available widgets and will be offered to drag and drop them for activating or deactivating. But apart from using default WP widgets, you are also free to add a custom widget area to your WordPress theme for adding custom links, texts, social links, navigation menus, calendar and much more. What is Widget in WordPress? Widgets are modules enabling the user to add content and features to certain theme areas called widget ready areas or sidebars. Initially, they were added to the themes to generate a simple way for managing the design and structure of the theme. As for now, you can find loads of widgetized WordPress themes to add header, footer and sidebar in WordPress theme design and structure without having to do with any coding controls. These widgets can even offer customization options for adding or removing, managing or changing information, images, links, galleries, etc. WordPress developers are allowed to create custom widget areas as well. There are also many modern themes and plugins packed with their own custom widgets you can quickly add to your sidebar while overcoming any coding processes. If you don’t find the needed widget area on your WordPress website, you can to add a custom widget area to your WordPress easily with the help of little coding or additional plugins. Now, let us walk you through the first way of adding custom widget to your WP site that has to do with pasting the code in your theme’s functions.php.file. Before creating a custom widget, you need to create a site specific plugin to paste the needed code into it, because, if you paste the code in functions.php.file, it will not be available until the given theme is active. You can either manually create site specific plugin or get it from FTP client you are using. We recommend the second option for beginners as it is much simpler and easy to follow. Connect your WP site via FTP client, then go to /wp-content/plugins folder under remote site column. Select site specific plugin folder and upload it to your site. Site specific plugin folder will be transferred to your site and you will be able to install it on the website. Now, only activation is to be done by going to the Plugins page on your admin dashboard and activating site specific plugin therefrom. Now this plugin is ready to be utilized. As soon as the code is added, you need to visit admin area, Appearance, Widgets, where the new widget is already available. Just drag and drop it to your sidebar. Now, it will be visible on the front end. Another simple way of creating and adding custom widgets is presented with practical plugins one of which is WP Custom Widget Area. Use this plugin for adding custom widget areas, sidebars and menu locations without facing difficulties in your work. Add a custom widget area to your WordPress and collate it anywhere on your website (sidebars, header and footer, and even in page or post content). Whenever you want to customize and replace sidebars and other widget areas on your WordPress hosted website, Custom Sidebars is what you will need. Quickly configure your custom sidebar and choose on which posts and pages, category or post type you want those widgets to be showcased. An ideal way to add a custom widget area to your WordPress is available with SiteOrigin Widgets Bundle. This powerful plugin comes armed with a useful collection of widgets you are free to use and customize the way you want. The list of available custom widget in this plugin runs as follows: Google Maps Widget, Button Widget, Image Widget, Slider Widget, Call to Action Widget, Price Table Widget, Social Links Widget, Editor Widget, Features Widget, Masonry Widget, Testimonials Widgets and many more. When it comes to online marketing, it is essential that you have your website up and running in no time at all, especially if you plan on edging your competition out. You can approach professional web design companies and they’ll usually charge an exorbitant fee for their services or you can always use a WordPress platform for the same. For starters you may want to check out custom widget area to WordPress themes and find out how to go about it. The good news is that WordPress is free and an open source platform which comes packed with a lot of free and premium themes for you to choose from. Feel free to check out some of our themes; so now you get why WordPress is so popular among many online users. What makes WordPress infinitely preferable to getting it done via a web development company is that you can customize your own website with the handy widgets. Widgets are essentially modules that enable you to add content, links, images and even media to your website with ease. And what’s more, you do not have to code anything, you can just get them all done with a few clicks of the mouse, it’s that easy. Moreover, you can design and set up custom widget area to WordPress themes once you have selected the right theme to go with your website. Of course, it is always a good idea to do a dry run with the themes of your choice but once you have made the decision, you will need to start using those widgets to add ‘meat’ to the content. There are many custom widgets that you can add to your website, so that you can add and tweak the sidebar to feature interesting content. But if you are still not sure on how to go about it, do read on. Creating the plugin: Before you can create a custom widget to add to your site, you would first be required to create a site specific plugin by adding the code to the file. But if creating it manually is problematic for you, you can directly get it from the FTP client that you are using. All you have to do is to connect to your site via the FTP client, head over to /wp-content/plugins folder and select the site specific plugin folder and upload the same to your website. Once the site specific plugin folder has been uploaded to your site, you should be able to install it in quick succession. Now with the plugin installed, all you have to do is to head over there start creating your own custom widget. Remember that you would still have to add some code to your WordPress theme file, usually the functions.php folder. Just search online for the relevant code, copy and customize the same. The process should not take more than a few seconds and with it, you should be set. Now, you can use the plugin to design and add custom widgets to your website. Additionally, there are various sites that enable you to check out the various plugins, to customize and tweak widgets and use the same to add content to the site. Now, with these custom widgets and high quality content, your site should get better traction and you should get more prospective leads, than you had before. You can add sticky posts in WordPress custom post type archives and make your post different and worth reading. Every website owner should look forward to making their content quality better along with better content representation. Content is always the king but if it is not well presented, even good quality content does not make it big. The best way to represent content different from others is by using UL elements that are not common but very attractive. One of such thing is sticky posts. You can highlight important points or show affiliate links through stick post. It instantly makes your web content different and better than others and it will help you create a complete brand by using it in most of the content page you have on your website and your readers will get into a habit as well which will help to in the long run. Step 1. To add sticky posts, you need to install and activate the plugin named Sticky Custom Post Types. Go to Admin Dashboard and from the left menu, select Plugins and click on Add New from the dropdown menu. Search for the plugin by its name and install and activate it. Once done, you have to come back to the Dashboard and go to Settings from the left menu and click on Reading from the dropdown. In the new screen, you have to scroll down and you have to select the position where you want Stick This Option to be enabled. It could be homepage or any particular post type as well. By default, WordPress shows sticky posts only on the home page and therefore, you have to enable in for other post types as per your requirement. For example, if you have movie review custom post type or coupon code custom post type, you can select where the sticky post will appear. Step 2. Now, it is time to add sticky posts in WordPress custom post type archives on different positions and make them appear differently. For that, you have to create an archive template for your custom post type already present on your website. Create a file named archive-post-type.php and then go to theme’s archive.php file and copy the entire code inside it and paste it in your archive-post-type.php file. Then if you know coding, you can modify the code as per your requirement to create any template you need. Then upload the file to your theme’s directory where archive.php file is. Step 3. Then you have to edit the important file functions.php and paste the following code there. You have to go to Dashboard, Appearance and click on Editor. File the functions.php file there and add it. The above code makes sure that your sticky post stays on the top of the custom post type archives. If you know coding, you can change the position as per your requirements. Step 4. Now, a sticky post does not look good without color and for that, you have to open Stylesheet from the Editor and paste the following. As you can see, there is an image which you have to upload as per your wish as to how you want your sticky post to appear. That is how you add sticky posts in WordPress custom Post Type Archives and now, it will appear on the top of every custom post type archives. Now that you know how to add sticky posts in WordPress Custom Post Type Archives, you can extend your knowledge to apply in different areas and here are the things you can do with the sticky post. If you are using to highlight a special event or to show affiliate links and coupon codes, you can create a hype by automatically disabling the sticky posts. For that, you need to install the plugin Expire Sticky Posts and set the expiry date. This will come really handy. You must be using sticky posts only for a few featured posts. But with time, your featured posts disappear under the burden of new featured posts. To revive them, you can have custom archive pages. Paste the following code in the functions.php file. This will create a shortcode and paste the shortcode anywhere you want to display them. If you want to make your sticky post stand out, you need to make it stylish. Here is the code you need to paste in stylesheet for decoration. There are various things you can do with sticky post and you need it to make your custom posts stand out. Now that you have decided on the theme and the layout for your website, all that’s left is to get some good quality content on there. The first thing that you need to do is to organize your content and set the information architecture in place; usually with most WordPress themes especially for blogs, it goes something akin to this, topic> category> tag> title and once your users drill down to the post, they should be able to review it. The problem though is that most users’ attention is limited to a bare few seconds per page and you may want to make it easier for them to find the relevant posts with ease. That’s why you should start using sticky posts in WordPress custom post type archives; it’s easy and does not cost anything extra. You may have to download a plugin or two but the basic set up is easy and can be done in a matter of seconds. Just check out the instructions posted below and soon you should be able to utilize sticky posts in word press custom post type archives with ease. With sticky posts, you can ensure that your audience accesses the relevant posts right away; you can even set an expiration date on these sticky posts so that they do not clutter up space. The one advantage to using sticky posts is that it makes your content stand out from the rest and your customers no longer have to drill all the way down to find something interesting to read; instead, they can access it right on the front page thanks to the sticky posts. These sticky posts can even help you streamline your branding strategy and enable your website to get more traction online. While content is king and good content goes a long way to enabling your website to land more traffic, often users do not bother to search for older posts and often just move on. Given this, it makes more sense to use sticky posts for those important posts and get them displayed right on the front page. When it comes to sticky posts, you can either download and install the ‘sticky custom post type’ plugin or go for the manual version. The latter requires you to be familiar with coding so if that’s not your cup of tea, then you may want to stick with the plugin which automates the process neatly. All you have to do is to download and activate the plugin. Once you have activated it, you need to head over to the admin dashboard, check plugins and from the scroll down list, choose “add new”. Now search for the relevant plugin by name and click on install. That should do the trick and the new plugin should be installed, now all that you have to do is to activate it and now, head over to admin dashboard, settings and choose “reading”. Here you can decide where you want your sticky posts to go and customize it as per your preference. Soon you should be set and be able to publish your first sticky post online. This entry was posted in wordpress on April 15, 2019 by SKT Themes. There are many new WordPress developers who like to write code and develop plugins exclusively for their own websites or to sell them in various marketplaces and get a handsome return. There are various ways of writing a code but there are only a selected ways to write code efficiently. If you can write a code in two lines instead of ten, you are saving a lot of processing as well as memory. If might not matter for a small and lightweight website, but for a heavy website, it could mean a lot. If you do not write crisp code and use the available resources efficiently, you are going to create a lot of conflicts for other programs. But if you do not follow the proper standard, all the activated plugins can get jammed badly. This article is mainly for new WordPress developers who are willing to develop WordPress themes and plugins. Unless you code properly, your code will be unprofessional and any product you made, no matter how good the concept is, you are never going to get accepted. Some of you may be aware of the fact that WordPress has a function called wp_head that helps you to load anything in the header section of the website. All you need to do is to add the following lines of code in your script file, and anything and everything will appear in the header. How To Avoid Such Mistakes – The Concept Of Enqueue Function? As you might know, WordPress developer community is a big and strong one. There literally thousands and thousands of developers developing new themes and plugins every day. But what they are doing to make sure there is never any conflict with each other’s coding method is by enqueue script function. The script is registered through the function wp_register_script() which has five different parameters. 1. $handle – It is a unique name for the script. Here it is ‘my_amazing_script’. 2. $src – It defines the location of your script. The library function plugins_url fetches the proper URL of your plugin folder. Once it is fetched, it will start looking for amazing_script.js file inside it. 3. $deps – It defines dependency. You need to add it when you are asking WordPress to load library script like Jquery. If the scripts are already loaded in the memory, it won’t be loaded again, and new loading will take place. This ensures no conflict, no memory blockage and no waste of time. 4. $ver – It defines the version number of the script. It is not mandatory. 5. $in_footer – It is used to load the script in the footer. If you want to load the script in the header, you should keep it to false. Once everything is defined, you just call the script with wp_enqueue_script(). The above codes are suitable while you are creating a plugin. When you are creating a theme, you have to change plugins_url() to get_template_directory_uri(). Rest of the things will remain the exact same. If you are creating a child theme, then you have to use get_stylesheet_direcroy_uri() instead of get_template_directory_uri(). If your plugin or theme is facing any glitches, you should modify the code of them with the above-mentioned lines of code, and maybe the glitches will be solved. Always follow the standards of coding followed across the world to be on the same page with other successful developers. This entry was posted in wordpress on April 12, 2019 by SKT Posts Themes. When there is an era when mobile phones especially Android and iOS developed at that time people were emerging themselves in this new smartphone world. With changing applications and new technologies, mobile phones are not lacking behind in a race. It gives full power and shows 100% supportive dedication to be fit in a market place to stand out at number 1 position. But with some of the mobile app design error, you may lack behind in the competition. So one should have some important points to remember while designing any mobile apps. Whether you talk about any franchise, brand or company, everyone is hurdling to be at one position. Apple, Android, Windows, etc., with their latest technologies, updated versions, beautiful features, various new apps, making people engaging and pulling them like a magnet towards them. But between all these, when designing, creating, developing, they also lack some mistakes, errors, and issues. So here in this blog, I am going to show with some points to keep in mind some mobile app design error. Animations, videos, integrations, etc., their content usually were too heavy and it creates your application to slow down. Ultimately, it creates mobile applications to loading slow. This will lead to discontent among users, and they opt for other faster and more accurate apps whose performances are much better than this. Hence testing and analyzing is more important when working on the workflow of the app. Also, it is important to create a proper “onboarding”, it helps in having faster loading speed, and a user will experience the faster loading and gets impressed by the content and design of the app. Beautiful graphics designs catch the eyes at first instant. In order to have more users and a high success rate, than you should be capable enough to know the taste of the customers. Unattractive graphic design comes to a mobile app design error because it somehow does not give attractive 3D designs, colors, animations, graphics, etc., having a good graphic design lets you have a great featured look and provides you the choice of creating personalized graphics line that is more impressive. Apart from graphic design, another important factor is typography. Much digital communication is taking through text and text styles, so it is also important to take care of. Along with typography, structuring of the text is also important and its compression by the users. The color contrast of the text, font size, font name, should dynamically be perfect so that it catches the user attention and one can understand it carefully. It is ok that you opt for every platform, and you want that your app should run on each and every platform, but have you ever think of it at least once, whether it is creating a problem or not? Not only it charges you with tons, but it does not provide you with the desired result. Having an app which runs well on any one of the platforms is what customers preference is first. Either Android, iOS, Windows, Linux, or any other OS, you should design your mobile app on any one of the platforms so that it provides you with much ease and user support. Yes, it is true people like latest technologies, features, attractiveness, but making unnecessary efforts which do not provide you with the proper outcome, lets you face the problem. Currently, Android has the number of apps followed by iOS. You must also consider, the number of the users choice. Ease of use and client experience are two fundamental components of any mobile application that looks to procure some achievement. Its quality depends for the most part on the UI and work process. To accomplish an amicable UI, you should deal with specific components, for example, activity buttons or the arrangement of data boards. By utilizing buttons that are anything but difficult to envision and utilize, you will make perusing significantly more agreeable. User experience and usability is the main point for any mobile app design error issue. If you want to make your mobile app error prone, you should take care of these two points. Good user experience and good usability result in you in more demanding of new mobile apps and more in updations. On the contrary, if you fail, then it will let you and your business down. So always try to avoid complicated user interface, keep it simple, precise, and more user-friendly for better user experience. 6. Is the app displaying a systematic logical flow? If your mobile app does not show a proper flow or does not have a systematic logical flow, then it will create confusion for the user from using it. A systematic and logical flow will help any user to have a proper flowchart of how to use the app with much confusion and problem. In order to extract the exact piece of information, you must provide your user with clean, clear, systematic steps that seem an important way towards the flow of the application. Unwanted flows and random screens appearance creates a problem and make a user irritating at the point and they avoid such apps for further use. While designing any mobile app, one should keep in mind these above-listed points, there are more tips and tricks available, but the most important here I have listed is a point to be noted. I hope this blog will help you while designing any mobile applications. This entry was posted in wordpress on April 11, 2019 by SKT Posts Themes. The emergence and the power of WordPress are providing you with its immense opportunity, it is often admired among the users as the best Content Management System (CMS). WordPress provides great features and frameworks, interactive templates, easy to use architecture and lots of customization tools with updated and advanced usability. Hiring A WordPress Developer for your project and business growth is a good idea because it is often seen that small companies try to do it all by their own, and at point fails and face problems. It is often seen that during developing, designing, and creating a project, developers come up with various problems and issues. Though WordPress plugins and shortcodes and themes made it easy for them, still as per the user’s requirements, at some point, developers face some issue regarding the management of the project. Here is going to show with some of the facts to consider while Hiring A WordPress Developer. Knowing WordPress is good, but to code a program or design a site with perfect and professionally crafted, then one needs to hold a deep knowledge about HTML, CSS, JS, PHP, MySQL, etc., WordPress is a great and open source platform for any designer and developer to design a website. But with detailed knowledge, a coder and a developer can provide you with the perfect output. And then you can offer them with the next level of the project, after looking at their compatibility and programming knowledge. Before Hiring A WordPress Developer you keep this point in mind that he/she should possess technical knowledge and should be an expert in it. Strong Development Expertise is for those great programmers and professionals, who not only works with full dedications and concentrations but also provides you and your company with a great source of outcome with their enthusiastic attitude and perfectionist in every aspect. If you find your developer or in search of a new one then always keep this point in consideration. He/ she should be the expert, dedicated, enthusiastic, and a great professional coder who provides you with a strong development coding expert knowledge. Having a marketing tactic is not related with the development field, still, I would suggest if you are Hiring A WordPress Developer than he/she should possess a marketing knowledge to profit you and your company growth. Why so? It is because having a marketing knowledge, tips and tricks found benefits for making more traffic, rankings, customers, a high rate in search engine, etc., and this can only be done by a professional and by an intelligent developer. The past Experience of WordPress developer is most important factor. A well-experienced developer is much high valued than a non-experienced one. If you are looking to hire a developer than try to hire an experienced one. This does not mean that you do not give the chance to a fresher one. But according to projects and requirements, I should suggest that if a project demands more, having more complexity than an experienced developer is the right choice. Try to go and ask for the previous projects, about its experience. Outstanding communication skills are again not a part of coding, but in development and professional field, if you cannot fulfill clients requirements and not able to understand what they want and trying to say then it might create a problem for you as well your company growth. So it is recommended that when you are Hiring A WordPress Developer then he/she should have a good and an excellent communication skill so that they deliver the right information and maintain a healthy communication relationship between him/her and client. – Can you write front-end code and WordPress/PHP code? – What is a widget? How to use it? – What is shortcode? Why use it? – Have you created a master-child WordPress theme before? What are the steps? – Will any plugins be installed on the site? – Which web standards are followed? – What are the developer’s portfolio and estimated time to complete? – What are the steps to create a simple plugin? – What are some best practices for creating and styling a WordPress theme? – Create a custom post type to display testimonials. – Create two meta boxes “Company Name” and “Designation” for the testimonials post type. – Create sidebar(widget area) for testimonials single post page. – Create a single post page for testimonials and display all the details including a featured image. Having these basic key points will help you to choose a well designated and an expert professionally developed WordPress developer. One can consider these basic tips and tricks before hiring a developer for your organization and for a project. These points will definitely be going to help you. I hope this blog will help you to provide you with the good outcome. A hacked WordPress website causes serious hurt your online reputation and loss data of your businesses. Hacker can steal any of the data from your site such as user information, password, install malicious software, malware users, etc., hence it is very important to Secure WordPress Website from loss of data and other important credential information. At times it may also come that you pay bigger amount to hackers just to regain access to your website. If your website is your business then it is very important to pay extra attention to its security. Here in this blog, without paying any bugs to hackers to regain access to your website and to Secure WordPress Website from hackers, I am going to provide you with some great tips and tricks that will help you to secure your site from being hacked. It is very important to choose a good hosting provider who provides you with multiple layers of security to your website. Often people go with cheap hosting providers to just save the extra money, which ultimately leads to loss and damage of your data. Cheap hosting can be easily hacked by hackers. So it is important that you must have a good hosting company for your site because a good hosting provides you with security options, high speed to your WordPress sites, security plugins and features, 24/7 support. Such hosting companies help you to provide a Secure WordPress Website which is hard enough for any hacker to hack. The next step for WordPress site security is to have a unique Admin Username and Password which only you know. Most of the people use “admin” as a username because this is being provided by WordPress when you first log in. And, people find it easy to use and remember, but forget that any hacker would first try to have a username as “admin”, which is by default and it will cause you and your website a big loss. In place of ‘mynewuser’ you put your own username. This is all about username, now for a password, it is a better option that you change your password every month. Try always to have a strong password and you can often create a new password with the help of a password generator. There are many password generator available on Google such as LastPass, Random.org, My Norton, Strong Random Password Generator, etc., you can use any of them to create a password. It is an essential part of Secure WordPress Website from being hacked. We all know that WordPress is an open source software which is regularly updated and maintained. WordPress by default install limited updates mechanically. For the security of your website, you have to initially update your WordPress. WordPress consists of numerous plugins, themes, and shortcodes, which are handled and maintained by the third party developers which on a regular basis releases updates as well. It is important for WordPress website security that you maintain minor and major updates. The below-given code will help you update all the core minor and major updates. Write this code in your wp-config.php file. This code will help to enable all the core updates for your WordPress website. It is necessary and important to have a backup of your website data. Backups allow you to have a quick restore of your data in case if something bad happens with your website. To secure your website you can also use WordPress backup plugins for backup of your credential data. These backup plugins re-implement your files if found something wrong happen. If you are buying any theme for your website then it is recommended that you opt for the premium one instead of free themes. Free themes were developed and designed by untrustworthy developers and even by those who do not hold much coding knowledge. So these free themes from unrecognized companies contain bugs and lack of security which can lead to loss of your data. My strongly suggestion don’t used free themes. Premium themes from trusted sources provide you with security options and with good customer support. It is essential to disable your PHP Error reports because when any theme or plugin sends an error report it also reveals your server path which helps the hacker to find your server easily. Hence to Secure WordPress Website, it is suggested to disable PHP Error Reports. One can also call the hosting company to disable these PHP Error Reports. Talking about the local environment than to secure your WordPress Website from the local environment is also important as to that of technical security. Working in a public place or using other WiFi may cause your data from the hack. To prevent from hacking, secure your WiFi password so that no one can hack into your site using your own signal. Implementing firewalls on your desktop computers and laptops can prevent your website data from malware and viruses. This code will help to prevent unauthorized access to your website data from other people. Website security is important and preventing it from hackers is the most essential key factor. This blog listed some of the important key points which help you to secure your WordPress websites from unauthorized users and hackers. I hope this blog will help you. If you are ready, your website is ready to launch, though you may have experience and you did it before, still I would suggest, take some time to reanalyze the whole thing once again. We all heard precaution is better than cure. It is always better to take precaution from things happening before happened. There were many ideas, concepts made available for you, the website post-launch plan helps you from security and protects your site from being get damaged. Also, it provides you with important services that one should take care before launching any website. It is not easy and good going if you work hard in implementing, designing, coding, testing, and all the necessary parts that you do while making a website and it will vanish in just a fraction of seconds due to silly mistakes, errors, and unwanted bugs. So my high recommend to you is to follow some basic website post-launch plan tips and tricks so that you receive good and a healthy response on a positive foothold. As I already said in the above paragraph, don’t be in a hurry. For this I have a great phrase for you, Nature does not hurry, yet everything is accomplished. A very well said, and this applies here too. It is one of the most common mistake when launching a website people rushing into it. You should have a website post-launch plan before launching it. Sometimes rushing may often create a problem. It is often seen that most web developers and business owners rush towards the launching without taking any precautions and protections. Ultimately it leads to failure, drawback, loss of data, and website problems. No matter what, if your website is ready to launch, but at the time if any bugs or error arise, and nobody knows, if it takes more than an hour by the professional or coder to fix the bug. And you remain face washed in front of everybody. So it is always better to take some precautions and preventions before rushing into it. The website is like a family where it consists of the domain name, hostings, plugins, security, shortcodes, color, etc., similar in a way, here we will discuss domain name first. Choosing a domain name is the first and foremost factor which you should do. Better choices give better results. Website post-launch plan includes one of the most important parts is the domain name. A domain name which stands for your brand name is the most important key that related directly to your industry or your services. For example, if you own a sports business than you can search for the domain name that contains the keywords “sportsman”, “athletes” and your city name. 3. Where to buy the domain names? There are many choices made available in the market such as GoDaddy.com, Name.com, LCN.com, etc., choosing the best feature, price and extended services domain name will provide you a great selling and a good seller hosting services. The hosting provider is one of the great tips for website launch plan because it provides resources, compatibility, uptime, and speed. You have to take care of these three things. Resources: Check with the website admin or with the organization that assembled your site. Get some information about the assets the site needs to run easily. Contingent upon your focused on traffic, audience and the content management system, it could be anything from shared hosting to a committed server. Compatibility: Pick a hosting service that is good with your CMS or potentially your custom contents. For example, because of the developing ubiquity of WordPress, the vast majority of the hosting organizations give devoted services to blog and sites dependent on this CMS. Uptime: The majority of the web hosting services accessible today guarantee a base uptime of 99%. Notwithstanding, you should scan for some genuine surveys on your short rundown of organizations that convey these sorts of services. It’s smarter to remain safe and ensure that what they showcase as genuine, is genuine for sure. Speed: Google favors websites that load fast. If your loading speed is high then it will be given first preference in the search result. And, as a result, they get more popular speed is an essential part of any website. Before launching it, one should take speed as one of the most significant factors in the website launch. Social media is one such platform which helps to make viewers into customers. More viewers lead to more growth of the website. Hence before launching a website, accordingly, make web-based social networking accounts and make and calendar a content plan for them. Adhere to that arrangement. Likewise, it would utilize some outer services for your exploration. Social media such as Facebook, Instagram, Twitter, Google+, Pinterest, Linkedin, have found such an amazing platform for posting your sites blogs, contents, articles, that will lead more traffic and rankings for your business growth. Keeping in mind these above-illustrated points before launching your website, will help you to prevent loss, damage. Website post-launch plan will surely help in making a website run smooth and provides a great effect on marketing strategies. Professionals and developers are very well aware of the concept about the importance of images in web design to make the viewers and visitors engage in the site. Choosing a picture perfect image or an extraordinary image for the topic is an important factor because it affects your rankings in the search engine with visitors as well as for your brand. As said by the great people, images say more than words, picking up the right image for your brand and product will let you have more rankings and people as to those who do not. Also, you can say an image plays a vital role in your website as the most powerful weapon. 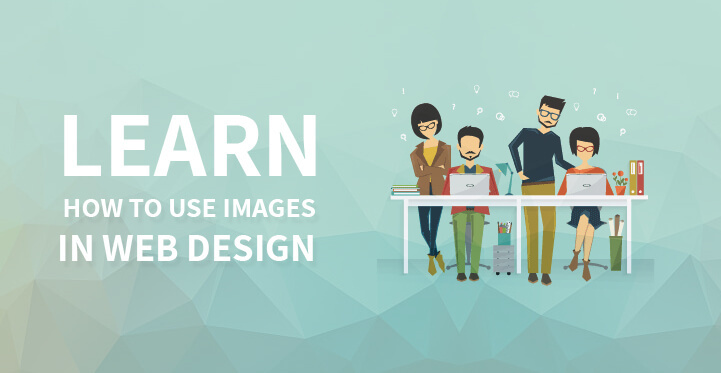 One should know the importance of images in web design because if used properly, it helps in the growth of your business, and if not than ruin your whole work. The first impression is the last one, so it is important to make the first appearance the most out of it to gain positive comments. One can make an image for the purpose of professional use in simple steps, which helps you to have a good response and better growth in the business industry. Here in this blog, I am going to tell you with some of the major tips and tricks about how to use images in Web design. For the betterment of your company and business, I would suggest just simply don’t use stock photos, these photos were cheap and easy, though tempting. People generally don’t like stock photographs as it tends towards the decrease in the brand of your business growth. Always use your staff photos, to make it real and picture perfect. It helps in engaging more people towards your websites, which helps in making more traffic. There were amazing technologies came up in the market, use them, use amazing filters, crops, edit, photography tools to make your staff photos beautiful and real, use them in your brand. Compare to those models and fake images, the real one always stands out from the crowd. You and your staff members are much better than those fake models which do not create effective growth in your business. There are free stock photo sites available in the market, which helps you to solve this issue. Fake images and photos do not tell the significance and importance of images in web design, compare to those real ones. It is found that web pages that include real images with people are more convincing as compare to those non-real. It shows the importance of images in web design with real people. If you use a simple, pixel perfect, clean and clear images of a real person, it will help you have better growth in your business for the long term, in a real environment. With these images, you can also guide your users. There is a product name Filterbooth, which helps you to make a real, regular picture from free image library into a professional one. Depending upon the websites you were creating, you may require different images depending upon your requirements for various blogs, subpages, stories, content, title heading, etc., selecting among them depends upon the context. It should make clear in your mind that the images should be picked up according to the contextual editorial that bears you a strong relevance wherever possible. If you were lacking behind time and budget, then no need to worry, quality stock images provide the main purpose for your ideal approach. Notwithstanding, prevent from cliches. Common images may bring negative feedback and bad user experience in your website, to avoid this, rather than using common images, you can opt for your own images, with just single click provide for your users simply works well for your site business. As far as we have discussed the importance of images in web design, image cropping also throws a significance towards the usage of images in web design. After selecting a particular proper image for your site business, cropping them is one of the important factors because it creates an impact with your page. Avoiding useless spaces can help to grab the user attention towards your site. You should be careful while doing this, cropping an image provides you a responsive screen size image. If not done properly then it may lead to an image confusion. So always pay attention while cropping an image for your websites. Once the content of your website is prepared, you should make sure that all the images should be delivered to your visitors as soon as possible. By choosing the correct format, you can do it in a simple way. JPEGs have truly change the web. Try not to be reluctant to encounter lower quality dimensions in JPEG format. Improving quality for some does not mean to improve transmission capacity but rather to abbreviate client holding up times. The most widely used images file folders on the web are JPEG, PNG, and GIF. These three dimensions were the most and widely used image file formats. All three plays different roles, PNG used for logos, JPEG used when you have captured photos, and GIF is used when you have an animation. In order to optimize the high speed of the websites, it is suggested that you should use content delivery networks. Content delivery networks provide you with faster speed delivery services than to that of hosting services. Because of CDN, when someone visits your web page, he/she is automatically routed to your nearest location, hence it results in delivering of images at a faster speed. Above are some of the great tips provided for you which holds the importance of images in web design and helps you to have a better site for your business growth. If anyone has any sorts of queries, feel free to leave your comments in the comment sections. Did you know that WordPress powers over 30% of websites around the world? So, it is no surprise that you have also selected this popular and reliable platform for hosting your business website. In addition to being a source of information to your potential customers, a good WordPress-powered website can increase online traffic to your business and help in generating more revenue in the long run. As a website owner, you must strive to protect your business website from potential cyber attacks as well as ensure the overall health of your website. Let’s discuss each of these valuable tips in detail. Any WordPress website comprises of 3 components, namely the Core WordPress, Plugins, and Themes. Each new update could have more features that can make your website more user-friendly and attractive for new website users. Updates can contain fixes to software bugs present in the previous versions. Plugin and theme updates can fix any security flaws, thus ensuring that your website is protected from hackers and malware attacks. A hacked or compromised website is harmful to your business prospects and can also be removed from Google search engine results. Before updating your WordPress components, you are recommended to take a backup of your WordPress website (as discussed in Performing regular backups of your WordPress website). You can update your WordPress components from the WordPress dashboard page for your website. Simply log in to your WordPress dashboard to view if any updates are available. ‘If you see a similar screen (as above), click “Please update now” in the “Updates” page. This will navigate you to the “WordPress Updates” page. Click the appropriate “Update Now” button to update your core WordPress or any outdated plugins and themes. In addition to applying regular updates to your WordPress website to keep it safe, you also need to take daily or regular updates of your website data. This ensures that in the event of any website compromise or crash, you can restore your website in quick time by reverting to the stored backup data. WordPress also recommends you perform a file and database backup before applying any latest updates. Then the question is how often you should take a backup? That depends on the type of business that you are running. If you are running an informational website, weekly backups (or when any changes are made on your website) should be sufficient. On the other hand, if you are running a successful e-commerce business, taking daily backups of all your daily transactions, sales, and invoices are very important to ensure that you do not lose any of these valuable data. Open the public_html folder that contains all your website files. Select all the contained files and click “Compress” to compress all the files in a .zip file. Download the .zip file on your local computer. Click on “phpAdmin” from the Databases section. As compared to a manual backup, using a WordPress backup plugin like BlogVault is easier to use. Easy to install on your website, BlogVault includes features such as zero website downtime, offsite storage, automated backups, along with website migration and staging facilities. Why is WordPress the most popular CMS platform across the globe? This is primarily due to a large number of third-party plugins and themes that can be developed independently and be easily integrated into any WordPress website. Plugins are very effective in improving the functionality of your WordPress website. For example, you can use the popular WooCommerce plugin to include the e-commerce functionality in your website. Thanks to its growing popularity, WordPress has thousands of third-party plugins developed by independent companies. Along with plugins, there is a growing number of WordPress themes that are widely available for use. Installing too many plugins can add to your website code and can adversely impact the speed of your website. While many of the popular WordPress plugins and themes receive regular maintenance and security patches, other plugins and themes are not maintained by third-party developers. Keeping these outdated components can pose a security risk to your website. It is recommended to keep only those plugins and themes that are being regularly used on your website. Removing unused or outdated components would ensure a cleaner website that can perform at an optimum level. WordPress hardening is among the effective methods of improving your website security. While investing in an effective anti-virus software tool is useful, website hardening measures can reduce the chances of professional hackers stealing sensitive data and rendering your website useless. Restoring a compromised website to normal may take months (or even years) to complete, while also resulting in loss of business reputation and revenue. A good WordPress security plugin can be effective in implementing and hardening of your website. Security plugins such as MalCare can be used for website hardening in addition to protecting your website from malware attacks. While most security plugins can impact your server performance and slow down your website, MalCare uses dedicated servers to perform its security-related operations thus preventing overloading of your servers. In addition to website hardening, MalCare has critical features such as web application firewall, login protection, and a one-click malware scanning and removal process. MalCare offers complete website management module from a single dashboard from where you can manage WordPress core, plugins, themes and even users. Rest of MalCare features include geo-blocking, slack integration, white-label solution, client reporting, site performance check, and uptime monitoring. Along with your WordPress components (core, plugins, and themes), your WordPress database is also critical for faster web page loading and website performance. Why does the WordPress database get cluttered and clogged? Every new plugin and theme that you install on your website gets stored in the WordPress database. When you remove an unused plugin and theme, all the related information does not get removed from the database. Additionally, all data related to website content, web pages, images, and videos on your website are stored in the WordPress database. When used over an extended period, this database gets clogged with unnecessary junk files, unused tables, and data from deleted plugins and themes. To optimize the performance of your WordPress database, it is important to remove all these records from the database. WordPress plugins such as WP-Optimize can be used to optimize WordPress database in a fast and efficient manner. Identifying and removing unnecessary data from the database. Performing automatic clean-up operations every week. Additionally, to use a tool like WP-Optimize, you do not have to hire any WordPress or database expert. It is easy to use and execute by any regular user. Managing user comments on an article or blog on your website may not be critical for a security-related aspect of your website but can build a good impression about your business among visitors to your website. On the other hand, not responding to user comments or queries can create a poor impression on your visitors, as they may feel that the company executives are neglecting the website. As a website owner or executive, proving proper and timely response to user comments indicates your respect for any visitor’s concerns and queries. It also encourages other website visitors to leave behind comments on your website, thus improving online engagement for your business. Additionally, filtering out and removing spam comments on the website is also crucial. With the increase in spam comments, your database table can also get cluttered, which can impact website performance. Deleting all spam comments in bulk can be risky as it may also result in the deletion of legitimate comment by accident. Instead of this approach, it is advisable to spend some time in moderating user comments. As part of your website maintenance, keep checking for any broken links on your website. A broken link occurs when a user clicks on a provided link and the “Page Not Found”, or 404-Error page is displayed. Check for broken links on both internal links (links to other pages of your website) or external links (link to an external website page). You can automate this task by using a plugin such as the Broken Link Checker. The Broken Link Checker plugin tool can check for all broken links and missing images on your website. According to this Google study, online visitors are more likely to leave your website if it takes more 3 seconds to load. Faster website loading is also good to be ranked higher on search engines and can provide a better user experience. Additionally, caching plugins such as W3 Total Cache can optimize your website speed and performance. With more Internet browsing being conducted on the mobile or smartphone (as compared to the desktop computer), it is critical to optimize your website design for mobile devices. Designing a website only for the desktop computer is no longer a smart business strategy. Mobile-friendly websites also enjoy better ranking on search engines like Google. A Responsive Web Design can be utilized to optimize your website for both desktop and mobile phones. You can also use the Google Mobile-Friendly Test to check if your website is user-friendly for mobile users. Easy to use, you simply need to enter your website URL address and run the test to check if your website is mobile-friendly (or not). Thanks to its versatility and ease of use, WordPress websites are easy to maintain through the use of available tools in the market. Regular maintenance-related tasks such as updating plugins and themes, website backups and hardening, and optimizing database have been made super easy for regular WordPress users. Following each of the website maintenance tips outlined in this article can ensure the overall good health and performance of your website in the long run. Along with reducing security-related mistakes, you can save your business from loss of money and credibility by following these maintenance-related practices. Let us know what you think of this article. Is there any other important WordPress maintenance tip that we have missed out? Leave your comments below. This entry was posted in wordpress and tagged website maintenance tips, wordpress maintenance guide, wordpress maintenance tasks, WordPress Maintenance Tips on April 10, 2019 by SKT Posts Themes. If you’ve been running a WordPress site for a while now, then you will certainly have a fair idea of widgets and their use. Widgets serve as an excellent tool, helping WordPress users to add more content and features to the sidebars (also referred to as widget-areas) of their website theme. Also, widgets can be added to several other areas of a WP theme such as header, footer, etc.) based on your wants and needs. Widgets, mainly, help drag and drop elements in your website. By default, you can find several widgets in a WordPress theme’s admin dashboard. However, you can make your site’s dashboard even more useful for creating custom widgets. Through this post, I’ll make you understand how you can create your own custom widget in your WordPress website dashboard. How Can You Create a Custom Widget in Dashboard? Let’s say you would like to create a custom widget in your site’s admin dashboard. For this purpose, the very first thing you need to do is to register your widget with WordPress. To do so, you just need to make use of the wp_add_dashboard_widget() function. It is a default WordPress function that informs WordPress about the newly created widget. //Create a function to display the contents to be shown inside the Dashboard widget. Note: The code above needs to be added to your theme’s functions.php file. In the first line of code, the register_first_custom_dashboard_widget() function is hooked into the wp_dashboard_setup action hook. In simple words, the beginning line of code means that whenever the wp_dashboard_setup action shows up within the code of your theme, the first_custom_dashboard_widget() will get executed. All these parameters are needed for creating your custom widgets. After executing the code just head to your admin dashboard, and you’ll see your newly created widget added at the bottom of the admin dashboard page. Just, drag that widget and place it any location you would want. How to Change The Position of Your Custom Widgets? In the section above we discussed the code that helps in creating and adding custom widgets in the WordPress website dashboard. Apparently, you would like to give your plugin users the ability to place your ‘Custom Dashboard Widget’ to a location of their choice, simply by dragging it. Unfortunately, WordPress does not come with an easy-to-use API that could let you handle pre-sorting your default widgets. This means that your custom widget will always be displayed at the bottom of your dashboard list. Bear in mind, this code will work for WordPress site owners who haven’t re-ordered their widgets at all. But, as soon as a user performs this functionality, their current preferences will override this. As a result of which, the users will need to move the widget to the top. Though WordPress provides access to several default widgets for extending your website admin dashboard capability, but it still might fail to fulfill your particular needs. However, you can achieve all your desired goals and make your admin dashboard more useful, by creating a custom widget. After all, widgets provide an excellent way add additional content and functionality. Needless to say, creating a new widget tailored to accomplish some task in admin dashboard will prove beneficial for you. Hope that this post will serve as a handy guide to helping you better understand how you can create custom widgets in your site’s admin panel. Remember, if you’re having any difficulty with the coding part, it is better to hire a WordPress developer who can assist you in completing your project. Samuel Dawson is a website application developer and file manager in Designs2html Ltd. He also does HTML to WordPress theme conversion successfully. He maintains the overall processing of WordPress files dynamically. The article on widgets management in WordPress above has been contributed by him. This entry was posted in wordpress and tagged custom widgets WordPress, guide on custom widgets, WordPress widgets on April 10, 2019 by SKT Posts Themes. This is Internal Server Error Part 4 of the Series. You are bound to come across this issue at one point or the other, when nothing seems to work and more importantly, you may not even be able to access the front end or for that matter, the backend either. It has happened to all of us and what’s more, this error often creeps in for a lot of reasons bu8t that does not mean that you need to panic. Believe it or not an internal server error is more common than you think and it occurs when WordPress files are corrupted. If you are not that tech savvy, then there are a few things that you can do, namely, you can start by doing a complete back up, and once you have backed up all the requisite information, you can then review the following steps on how to fix the dreaded internal server error in WordPress. Please remember to do a complete back up and not a partial one so that your data and core information remains safe. The internal server error can be quite irritating in the sense that it does not provide you with any information on what the error is or what has caused the same. So the first thing that you need to do is to check out your root directory of your WordPress using your FTP account (your host would have provided you with the required credentials). Once you do, you should be able to download the wp-config.php file. Save it in your computer and open the same using text editor, and enable debugging by changing the false value to true. The code that you need to locate is WP_DEBUG and this is one where you need to change the value; once you do, please upload the same to your server. Now, reload your website and see if the error message changes and whether it shows the specific error that caused the internal server issue to crop up. If the issue is on account of a plugin or a theme, you would need to disable the same. And remember to change the value from true and back to false, in the wp-config file once the issue has been sorted out and upload the same to your root. You can try logging into your site, www.yoursite.com/wp-admin/- and see if the page in question loads properly. If it does, then you can be reasonably sure that a rogue plugin or theme is the issue. Now, move onto the next step. Plugins, especially external and third party plugins are known to cause issues every now and then. If that’s the case, then you need to disable the plugins since once it is disabled, it cannot cause any more issues to crop up-. The plugins will not be deleted but their code will no longer run in the background. Disable all the plugins and reload your website to see if it works. If it does, then you can start enabling all your plugins one by one and check and see if the internal error issue crops up again. Once you have located the rogue plugin, delete the same and notify its author of the issue immediately and look for better alternatives for the same plugin. If the above method has not resulted in any meaningful results, then it is more likely that the culprit in question is your theme. Your theme files may have become corrupted on account of various issues including failed updates. The best option would be to switch to a default WordPress theme like theme twenty sixteen. If you still want to retain your old theme intact, then it may be time to call in some professionals to help you out with the issue. But before that, do check out the next step. One of the more common reasons for the internal server error happens to be memory limit. If you have exceeded your memory limit, then it can cause your server to malfunction as a result of which you are bound to come across internal server error. You may want to contact your host about your internal server error and the issues that you had taken to resolve it. Ask them for their assist in helping to increase the memory size of your account and they should be able to do the same with ease. If the issue is on account of limited memory, getting your memory size increased should help resolve the issue right away. The .htaccess file is one of the more important core WordPress files and even a simple typo can cause your site server to malfunction. This is why it is important that you do a complete backup right at the start. Now, open up your FTP account, access your root directory, and download the .htaccess file. Check and see if the codes are all right, and if you are not sure, you can always call in a developer or ask your host to check the same and let you know. If you know your way through coding, then you can check the codes on your own, see if you can spot the error and edit it, and upload the same to your root directory, using your FTP. If the above steps have not worked, then it could well be that your core files are corrupted in which case you will need to reload WordPress all over again. Granted that the process may seem overwhelming but using your FTP account to download the WordPress core files and then re-uploading the same minus wp-content file, should help fix the issue once and for all. These are some of the ways through which you can resolve the dreaded internal server error on your own. Please remember to review all the steps listed and take the required precautions as in doing a complete back up when initiating the steps listed here. You should soon be able to resolve the internal server issue and your website should be back up online in no time at all. This entry was posted in wordpress on April 9, 2019 by SKT Posts Themes.